4 Ways To Make the Treadmill More Fun! 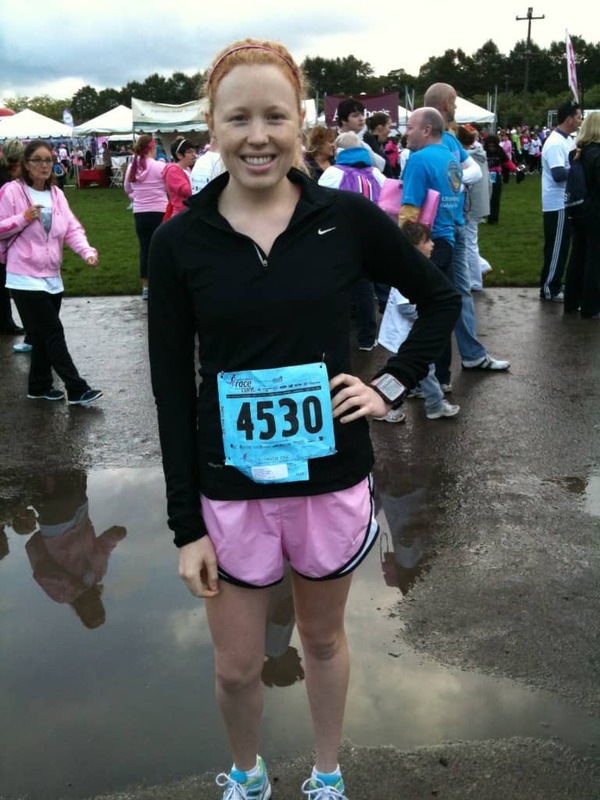 We’ve got an awesome guest post today from a Chicago running blogger. A lady I met over at HLS in September. She’s gonna talk about some ways to make running on the treadmill more fun! Enjoy! Hey everyone! My name is Katie and I blog over at Peace Love & Oats. I’m a 20-something recent law school graduate living in Chicago, searching for a job, and just blogging about my life. One of my favorite activities to do here in Chicago is RUN! 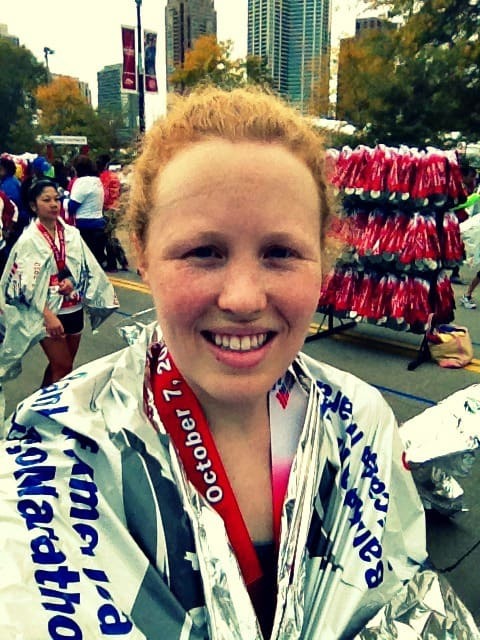 I started running when I moved here and went from 5Ks to running the Chicago Marathon in 2012. While training for races, I often take my runs inside to the treadmill. Running on the treadmill can be a great option, especially for safety if you have to run when it’s dark out, it allows you to switch up your workout quickly from the treadmill to something else, and you have everything you need right there: water, bathrooms and heat! Even with all of these great reasons, I’m sure you are all thinking: but I HATE the treadmill! Well, calm yourself, because I’ve got some ways to make treadmill running a little more bearable! 1) Make a great playlist. No matter what my mood, a great playlist can make any run more bearable. Personally I have a couple on my phone that I can alternate between, some being really upbeat to get me going and others that are more calm if I’m feeling stressed and overwhelmed. Also, reward yourself for hitting running milestones or other achievements by buying new music! I like to buy new music and then only allow myself to listen to it on the treadmill, that way I have one more reason to look forward to my run! Unlike running outdoors, when you run on the treadmill you can bring things with you. 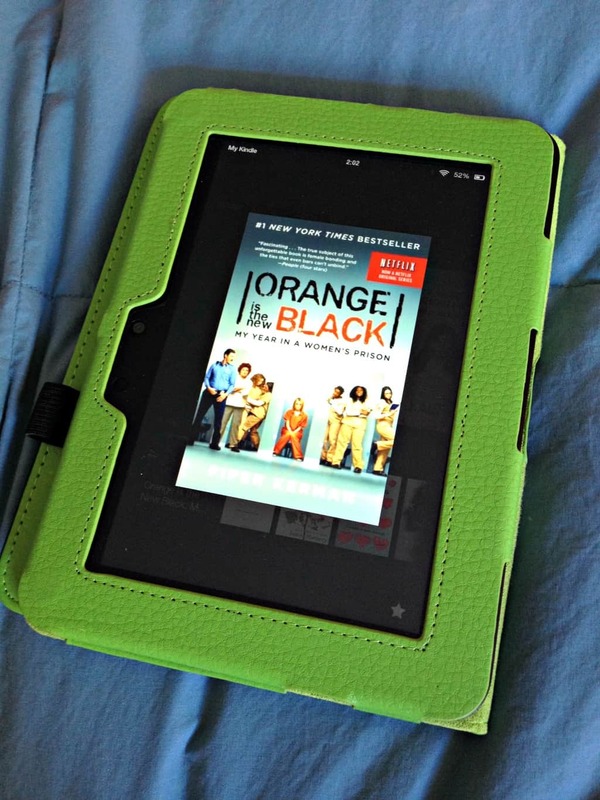 For example, an iPad or Kindle are great for watching a TV show or reading a book while you run or walk. These are perfect for steady runs where you just want to zone out on something else. The BEST way to entertain yourself on the treadmill is to vary your speed. This gives you a bit of a challenge and paying attention to your intervals makes time fly. Try using a workout that you find online, like my 3 Mile HIIT running workout, or just start messing around with speed on your own. Go back and forth between high and low speed based on distance or time, or gradually build up throughout your run. 4) Make up stories in your head. Okay, yes this one is a little more “out there” but it’s by far my favorite way to spend my time on the treadmill. If you’re ready to just settle in to a nice pace and zone out, then I recommend using your imagination (I do this outside as well). The other day I had a 3 mile run and ended up getting so distracted in my imagination that I ran an extra 0.2 before realizing it. So what do I think about? Usually I’m the hero of some sort of story, for example: saving a kidnapped child, but being shot in the process so then I’m in the hospital and people are visiting me and of course the gorgeous doctor thinks I’m amazing and asks me out… and you see how this goes. It may seem weird, but it really kills time and you forgot you’re running! So there you have it: four great ways to make the treadmill a little more bearable! Spend a little time running on the treadmill and before you know it, you’ll be ready for a race! If you have any more questions about running or anything else, free feel to send me an e-mail at peaceloveandoats@gmail.com! Do you run on the treadmill or outside more? Love these tips, Katie! I absolutely love running outside, and absolutely hate the treadmill. I MUST do one of #2-4, or else I’ll drive myself crazy! Even though I love running with music outside, it just doesn’t cut it for me inside. I have to have something to keep my mind active or I’ll keep staring at the numbers … “I’ve run 0.10 miles … 0.11 miles … 0.12 miles…” Even covering up the numbers with a towel doesn’t help! And, you’re not the only “crazy” one with a vivid imagination … I’m amazed at some of the random things I think about when running! Great advice! I hate the treadmill because it gets so boring. My newest thing is doing the treadmill while reading the captions to Queen Latifas new show. lol Wish the gym had sound!! Great suggestions, Katie! I just rejoined the gym (I’m a winter gym member and run outside the rest of the year) and have been dreading my first run back on the treadmill. But I know it’s coming, especially now that we’re getting dark by 4:30 pm (totally THE worst). Your reminders will definitely help me drag myself to the gym. Good luck with the job hunt! I hate that it gets dark so early now! I hope these tips make your winter running bearable! I am not training for a race, but those are all great tips. These are great tips! Changing the speed really helps keep me distracted on the treadmill and I do it every few minutes even if it’s just a slight change. That way in my mind I’m just counting down the 2 minutes until the next speed change instead of the minutes until the end of the workout which seem never ending! These are all great tips. I love varying my speed, it makes the run go by so much faster. These are great tips! I spend a lot of time on the elliptical (for some reason I’m not coordinated enough to use the treadmill ;)) and I have to have something to watch on TV. If there’s nothing on, it’s a very long workout. I always read when I go on the elliptical. A book or something on the iPad but once I get to reading, I totally lose track of time and the workout is done before I know. Every time. Great advice. I normally listen to great music or watch tv on the treadmill. Keep yourself entertained will keep your mind off of the actual workout! Nice post.Your tips motivates to workout daily.